Apple has maintained since HomePod’s unveiling that the device is a premium audio experience above anything else. And that’s reflected in HomePod reviews — the majority of which praise its stellar sound quality, which is unmatched by anything in the sub-$350 price range. The problem is that everyone wants a smart speaker, and HomePod just isn’t as smart — or as affordable — as devices like the Amazon Echo and the Google Home. HomePod sales started strong, according to Slice Intelligence, which reports that the device grabbed a third of the U.S. smart speaker market in unit sales when pre-orders were opened in late January. This accounted for a whopping 72 percent of the revenue in the smart speaker category. But now that early demand has died down, HomePod is struggling. It has managed to grab just 10 percent of smart speaker sales during its first 10 weeks on the market, while Amazon’s Echo lineup grabbed an impressive 73 percent. HomePod units are now piling up in Apple retail stores, and the company has been forced to cut orders with manufacturer Inventec, and reduce its sales forecast, reports Bloomberg. Apple is working on a number of things that will make HomePod more appealing — including support for pairing two units in stereo sound, and the ability to play music in multiple rooms on multiple speakers. Both features are being tested in its latest beta software. Apple is also looking at new materials for HomePod’s base, adds Bloomberg, citing sources familiar with its plans. 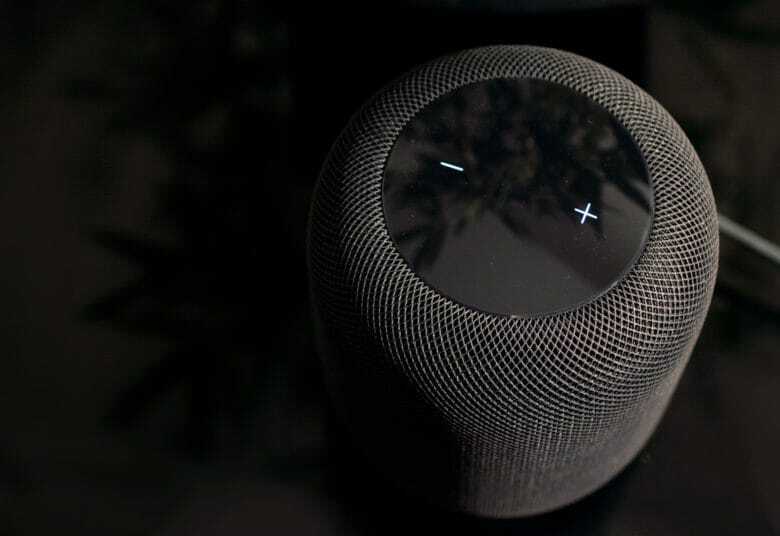 The silicone Apple currently uses has drawn complaints from early HomePod adopters, who have discovered that it has a tendency to stain wooden surfaces. Apple wouldn’t have expected HomePod to cannibilize Amazon Echo sales; a $350 speaker that just isn’t as smart was never going to do that. But it almost certainly will have hoped for stronger demand throughout 2018. Analyst Gene Munster expects Apple to ship around 7 million units this year, followed by another 11 million in 2019. Amazon, on the other hand, is expected to ship 29 million Echos in 2018, and another 39 million next year.